How Long Does it Take to Register a Trademark in Australia? Registering a trademark can be a lengthy process and the time dedicated to this is often underestimated. It will take a minimum of 7 and a half months to register a trademark in Australia. Finding out as much as you can about trademark registration can help to clarify and map out a timeline to complete this process. We recommended that you get the assistance of trade marks attorney to help navigate the application process with the body that governs trademarks, IP Australia. We know that registering a trademark is a great way to protect your intellectual property as well as your standing in the Marketplace. So, let’s look at what’s involved in the application and submission of a trademark registration and the estimated time it will take. To start the TRADEMARK REGISTRATION PROCESS, you should first ascertain if you have an eligible trademark to register. This could be any ‘sign’, (including phrases, logos, words, colours amongst other things) you use or intend to use to distinguish your business’s goods or services from the similar goods or services of others. There are various things to consider when filing your trademark application, such as making sure you apply in the correct capacity (individual or company) and that you are nominating the correct legal owner for the trademark. Equally as important is to ensure you are not infringing another person’s trademark. Goods and services are also categorised so you should have a firm understanding of your business’s market position in order to correctly classify and protect your trademark in relation to your products/services. While you are able to undertake this initial preparation by yourself, it can save you time and money to find an experienced trademark registration service provider that will guide and assist you with preliminary research as well as the application and submission formalities. Engaging an appropriately qualified trademark professional can also ensure that your trademark results in a valid registration, rather than one potentially vulnerable to attack due to mistakes being made in the filing of the application. Once the application has been lodged with IP Australia and under normal circumstances you can expect your application to be examined in around four months from the time it is filed. Assuming the trademark is approved it is then advertised as accepted (at around the five-month mark at the earliest) and this advertisement starts a two-month window in which other people can object to the trademark being registered. If there are no oppositions, the application proceeds however it is worthwhile to mention the arguable benefits of using an industry professional which would include having access to experience and advice on ways to make your application more successful. Submitting a request for assessment before filing the application is an option and will test out the viability of your trademark and its likelihood of approval by IP Australia, before submitting a formal application. This significantly reduces the examination and ‘wait’ time as a preliminary result is known within 5 business days as opposed to the usual 4 or so months, saving you time and money. The registration time will still be a minimum of 7.5 months, but this option is useful if needing a quick answer on the likelihood of the trademark being accepted. During the 2-month opposition period should there be no oppositions, your trademark will proceed to be registered and protected. Within a week or two from the expiration of the opposition period, you’ll be sent the certificate of registration and the process will be complete. Commencing from the date of the application being filed your trademark will be registered and protected for 10 years Australia-wide. If you have engaged a trademarks attorney they will also be able to remind you about expiry deadlines and help you renew the trademark after ten years. Australia is party to an international convention with most countries around the world and it is for this reason the process takes seven and a half months. This international arrangement relates to priority trademark filing, which ultimately means a person who has filed in one country for a particular trademark on a particular date (known as the priority date) will have a six-month window to file that same trademark into other countries, which could include Australia. They can claim their original filing date for priority purposes. This means, for example, if someone in America files a trademark application a week earlier to someone in Australia and the American business also files in Australia within 6 months of their priority date, they will end up with priority over the trademark thanks to this agreement. You can read more about registration of your trademark overseas, and more about this priority period here. The actual registration process for trademarks can be fairly straightforward, however by using a service provider to assist from the initial planning stages right up until your trademark is fully registered minimises the administration time for both for you and IP Australia and as noted above better ensures your registration is valid and not vulnerable to issues or attacks from other parties. Is it Possible to Expedite the Registration Process? Unfortunately, due to the international treaty concerning priority periods and each step in the process, the seven and a half months is the minimum timeframe for Australian trademark registrations. If you are filing to Australia based on a priority application in another country, you may see a quicker examination, as the ‘rights’ to those applications go back to the original priority date rather than the filing date in Australia. This means that there is no way to circumnavigate the full registration period once it is with IP Australia. As discussed above, we are however able to speed up the initial examination with the government and reduce the typical 3-4 months examination time by requesting a prefiling assessment to ‘test the waters’ or pre-determine if the trademark is likely to be approved prior to submitting a formal application. Our office we can also offer pre-filing advice, which is designed to be able to avoid any initial mistakes and ensure – as much as is possible – a successful registration. The advantage of this pre-filing assessment phase is that if any minor changes do need to be made at this stage, you won’t be charged additional fees over and above the initial filing fees, however if you do decide to scrap your original brand/trademark and start over with a new trademark, you’ll be charged a government fee of $150 per category of product or service for that reassessment. (A ‘standard’ application that has not gone through this early assessment could not be ‘scrapped’ and replaced once examined in four months – rather you would go back to square one and incur full filing fees to try for a new trademark). Where we have been engaged to file the application for you, we do not charge additional professional fees for any changes in that early assessment phase; the initial application fees include our time during this pre-filing process. When filing trademark applications as a ‘self-filer’ the most common mistakes we see in the process relate to the lack of sufficient planning, due diligence and preparation during these infancy stages. We recommend that our clients spend some time on this first phase before deciding to complete an application form. Preparation and accuracy will ensure your response to any queries on the trademark during the review period are handled quickly and efficiently and avoid unnecessary delays in the event of an adverse report being issued. That preparation will also help ensure that if the trademark is ever challenged or ‘tested’ by someone else, loop holes won’t be found to allow them a successful challenge against your mark. Certain circumstances will extend the minimum processing times of the trademark application and time frames can be subject to the government’s own workloads and timeframes. In the case of a certain type of trademark, known as a certification mark, it may take longer in the approval process as it requires certain additional approvals from the ACCC. During IP Australia’s examination, you may receive an objection (also known as an adverse report or examiner’s report) which usually requires further information to bring the application into order for acceptance. The applicant has 15 months to respond and bring the trademark into order for approval. The speed at which the applicant provides additional information will determine the length of time this may add to the overall time-frame. You can read more about adverse reports and ways to address them at this earlier post. In the case of someone who files an opposition to the trademark registration during the two-month window after it has been advertised as approved a longer time-frame is expected. 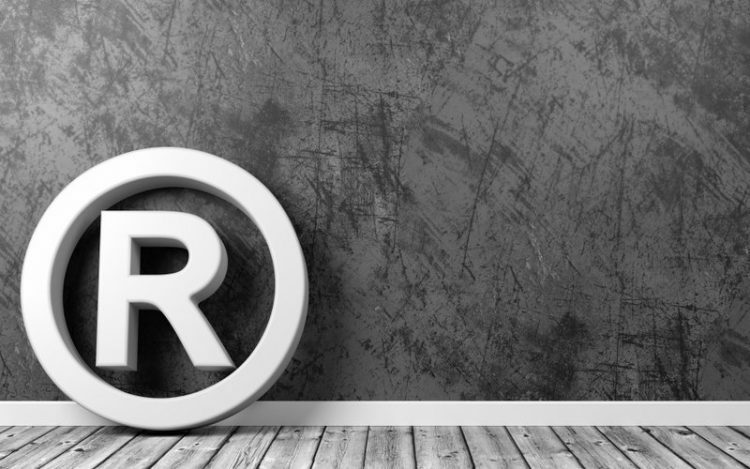 While not particularly common, it can extend the time-frame it takes to register a trademark as the applicant must decide to defend or cease the application. If the decision is to defend at this stage an opposition proceeding occurs until the parties settle the matter, one party with draws or IP Australia makes its as to whether the trademark can be registered. This can add 18 months or longer to the process. If you find yourself in this situation, our guide to trademark oppositions will be a useful read. Registering a trademark is a significant milestone for your business and in the excitement, it is common to assume that you have full protection and rights to the trademark during the 7.5-month registration process. This is not true, even if the application is going smoothly and there have been no issues. Your rights and protection only start once the trademark is fully registered at the end of the period, although the rights will be then recognised from the date of filing the application. Once your application is approved and formally registered you are granted the right to use it in Australia for business purposes, related to the goods and/or services you have nominated. Don’t forget that you can actually lose it if you do not use it within a certain period after it has been registered. Mark My Words Trademark Services provides trademark services throughout Australia as well as internationally. If you need practical trademark advice, not generic or academic answers and real people to talk to our sound experience and knowledge can offer your businesses the best trademark advice along with the best customer experience in Australia, at affordable and competitive fees.